The design of railway vehicle structures is a complex task requiring absolute care, well-founded theoretical knowledge and significant practical experience. The requirements related to the vehicle structures make it necessary to manufacture structures that have the right amount of stiffness and are adequate also in terms of fatigue resistance, but have the lowest weight possible and can economically be manufactured, and at the same time are simple and easy to maintain. 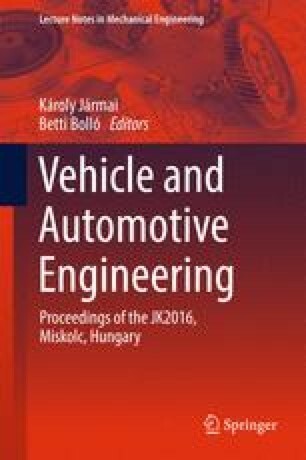 The main aspects of designing for modern welded vehicle structures are, as follows: suitable load-bearing capability and safety, the correct construction, according the welding technology, and the same, the cost-effectiveness, as well. We can achieve significant reduction of weight by increasing of the strength of elements and by reduction of the thickness of plates and construction elements. The minimum of the necessary thickness of plates can be calculated by optimization of sizes. In our lecture we will present the weight reduction design approach, and new innovative design methods and technologies for lightweight welded railway structures of the modern passenger coach by the examples of new IC+type railway passenger couch family, developed by MÁV-START Ltd. This presentation was conducted as part of the Project IC-PR01-GOP131/A, on the basis of contract No. : K2378-11, between MÁV-GÉPÉSZET Ltd. and TÜV Rheinland InterCert GmbH. The realization of this project is supported by the European Union, and co-financed by the European Regional Development Fund.